Exmoor National Park, 25 minutes from our Kittisford Barton site, is a truly unique part of the country. With its stunning combination of moorlands bursting with heather, stunning coastline and picturesque bays, there’s so much to see… and we think the best way to do it is to grab your walking boots, pull up your socks, and set out on your own two feet! To help you get started, we’ve picked eight of our favourite Exmoor walking routes to share with you. From circular trails through charming villages to more challenging hikes, there’s something for everyone here. What will you discover? 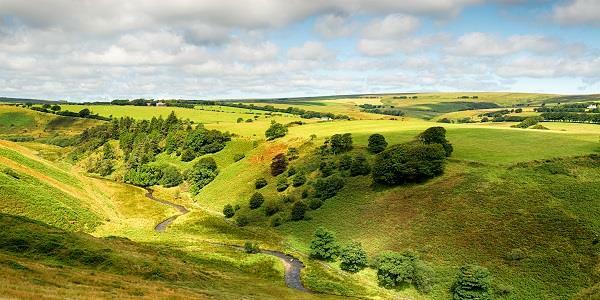 This walk is a great way to appreciate the unspoiled beauty of the River Barle valley. 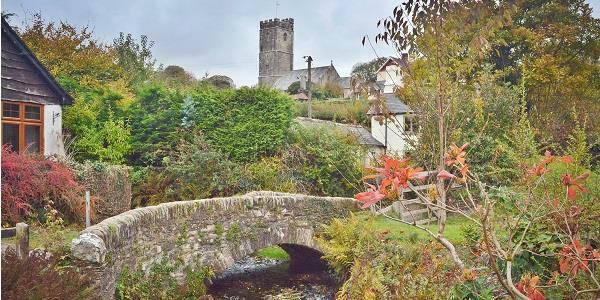 Travel upstream from Dulverton to cross over Marsh Bridge, which is a charming old pack-horse bridge. The track then becomes a little steeper as it follows an ancient byway, complete with moss-encrusted walls and banks. When you reach the top, take a seat and enjoy a peaceful few minutes drinking in the beautiful views… alternatively, this is the perfect spot to break into your packed lunch! Afterwards, enjoy the easy walk back to Dulverton along another byway. This walk starts and finishes at Frogwell Lodge car park, which is managed by the Exmoor National Park Authority and therefore has toilets, a picnic area and information. After setting off, you’ll soon reach the highest point of the walk, where you’ll enjoy fantastic views over Wimbleball Lake and across Exmoor. Next is a long downhill section which leads down to Bury – a charming village with a pretty ford. Carry on to Wimbleball dam, where you can marvel at the rushing water before heading back to the car park. The route is clearly marked with orange markers, so this is a great walk for beginners or those with little ones. This is a lovely walk along the River Barle, lasting for approximately 2 km. 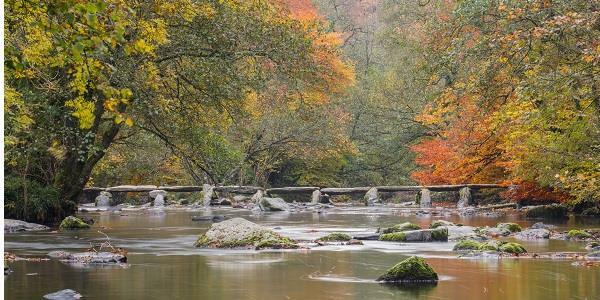 Start with a visit to the ancient site of Tarr Steps. This 17-span clapper bridge (made of unmortared stone slabs) is the longest in Britain and was first mentioned in Tudor times, although it’s thought to be much older. From here you can enjoy a pleasant circular walk through the woodland, which is marked all the way along by orange markers. The 2.5-mile route is dog-friendly and contains no steep slopes, although it can get muddy and slippery. The beautiful woodland is worth exploring for its wildlife alone, while the stunning heathland of Winsford Hill has wild ponies in the surrounding countryside. This 5.5-mile walk takes in the remote Hoaroak valley, where several hidden ruins make it an interesting day out for history enthusiasts. Starting at Prayway Head, take the path to Exe Head and then down into the Hoaroak Valley. Follow the path along the valley until you reach Hoaroak cottage, then retrace your steps. During this walk, you’ll discover the ruins of a telling house, which was used to count the sheep grazing in the Royal Forest of Exmoor and ensure the famers were paying the correct fee! You’ll also see the Hoar Oak Tree, which once marked the boundary between the Royal Forest and the common land. Finally, Hoaroak cottage is a ruined farmstead dating back to medieval times. 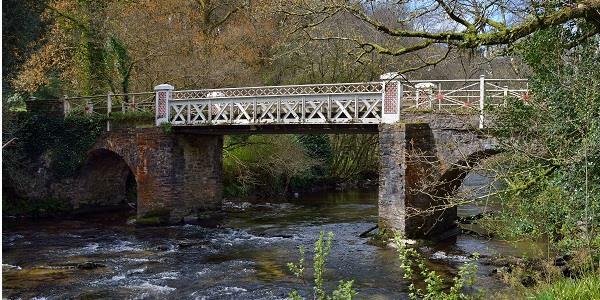 Stating at the Wheddon Cross free car park, this 3-mile circular walk takes in a short section of the wooded River Avill that flows to Dunster. 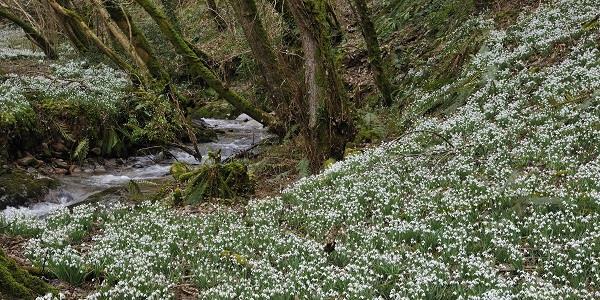 Part of this walk includes the famous Snowdrop Valley, a must-see during February and March each year – you can also make a small diversion here to explore the woods, adding an extra half mile to the journey. After this, the route ascends through woodland until you reach the top of the hill, where you’ll find some excellent views across the valley towards Timberscombe and Dunster. This route along the Coleridge Way takes you through a quiet part of the Brendon Hills past Treborough, were you’ll find some lovely views over the hills and combes towards the Bristol channel. Bith Roadwater and Comebrow were stations on the West Somerset Mineral Railway, which ran from the iron mines on the top of the Brendon Hills to the harbour at Watchet. This walk is completely on public land, but make sure to take notice of any signs with information about the route. A slightly longer walk at 5 miles long, this walk takes in the lovely village of Winsford, complete with thatched cottages, village green, quaint bridges and ford. Nestled in the beautiful Exe and Winn valleys, there is a chance of spotting wild red deer and waterside birds during your adventures through the wood and up the valley. You can spot evidence of mining and an ancient fort during the 7 mile walk, spanning the upper Barle Valley. Starting in Ashcombe car park, you’ll quickly find yourself in the lush greenery of Birch Cleeve woodland. After this, the first site you’ll come across in the Wheal Eliza Mine, where you can still remnants of the buildings alongside the footpath. Continue from here and you’ll find Cow Castle, a hill fort dating back to the Iron Age. The route also includes the Royal Forest of Exmoor and the Pickedstones Iron Mine. Of course, there are plenty other walks to enjoy around our Kittisford Barton site. Our three other Lantern & Larks sites are also surrounded by some of the most beautiful areas of the UK, making them great for walking holidays. Keep an eye on our blog for some more fantastic walking routes to enjoy during your next glamping break! After all, after a long day on your feet, there’s nothing quite like coming back to your luxury safari tent. Throw some logs in the woodburner and kick off your walking boots as the kettle starts to boil. Get your energy back with a meal cooked over the fire, and enjoy a glass of your favourite tipple under the stars before sinking into your comfortable bed. What could be better? Book your next glamping break today!